[http://www. koykagroup. co. ] Welcome to Koyka Electronics Pvt. Ltd. Manufacturer & Exporter of Pouch Packaging Machines. Established in the year 1997, at, we are an ISO 9001:2008certified company. Stringent quality checks & sophisticated manufacturingunit help us to serve Australia, Indian Subcontinent & Middle East. Whirl Pool India Ltd. & Hotel Delite are some of our prestigious clients andwe are backed by Customized solutions & Competitive pricing. We offer a vast range of Shrink Tunnels, Strapping & Automatic PackagingMachines. Shrink Chambers, Sealing & Semi Pneumatic Packaging Machines offeredby us are well known for their impeccable performance. We offer Bucket Conveyors, Dry Shifter Machines & Hammer TypePulverizers that are cost effective. 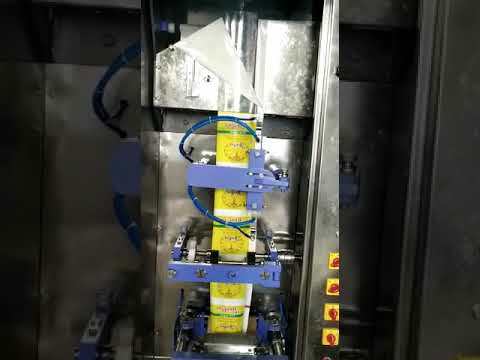 Our Hot Air Tray Dryers, Kurkure Making & Milk Pouch Packing Machinesare widely appreciated in the market. We also provide Roasters, Screw Conveyors & Shampoo Making Machinesthat are available at industry leading prices. Along with that we offer Bagging, Supari Cutting & Vertical BucketElevators that are a class apart. For more information log on at: http://www. koykagroup. co.